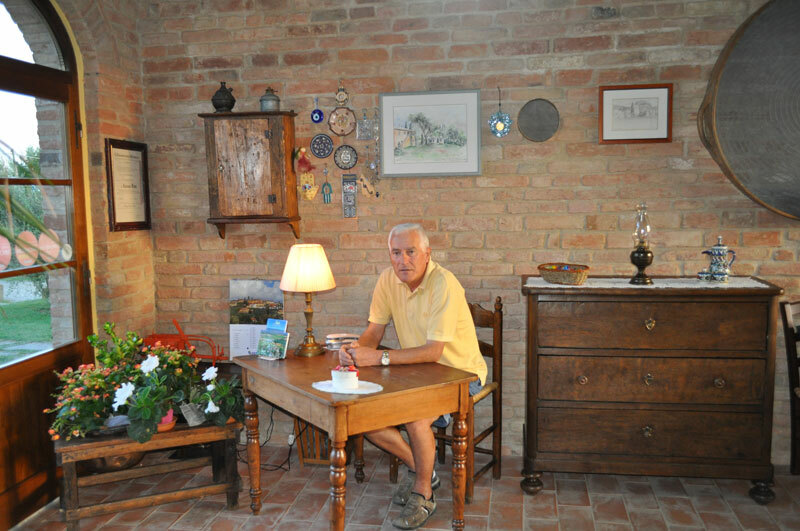 WELCOME TO THE FARMHOUSE IL "QUERCIOLO"
Luciano welcomes guests at their arrival, he is the father, he shows them how the farm is organized and takes guests to their apartment giving them useful advices and information for spending an unforgettable holiday. 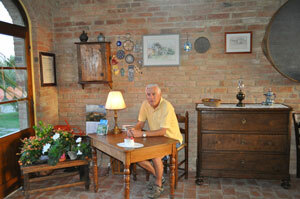 The reception desk is in the old agricultural tool shed. 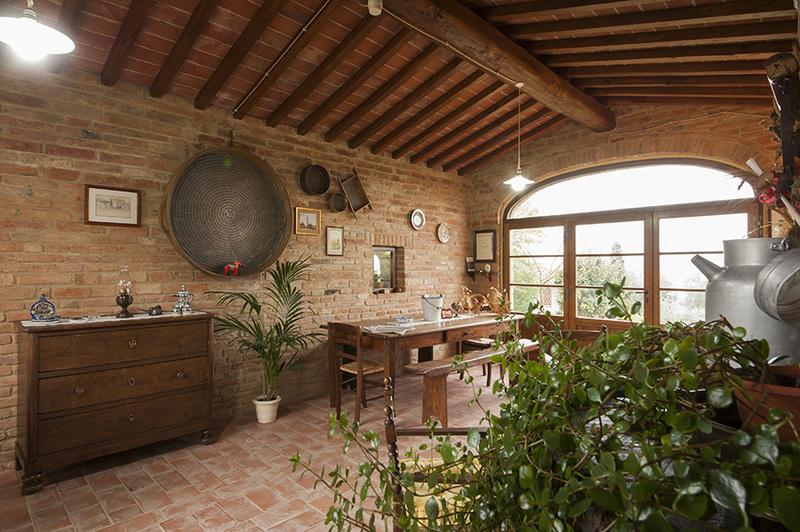 It is made of red bricks, visible both from inside and outside the building which keeps the features and the charm of things of the past. The day after guests arrive, generally on Sunday, Cesare arrange a meeting with all the guests, he introduces his family telling its story and the local traditions. Guests have the chance to get to know each other and introduce their own families. At the end of this meeting guests enjoy a tasting of some typical canapés and red wine of Il Querciolo. 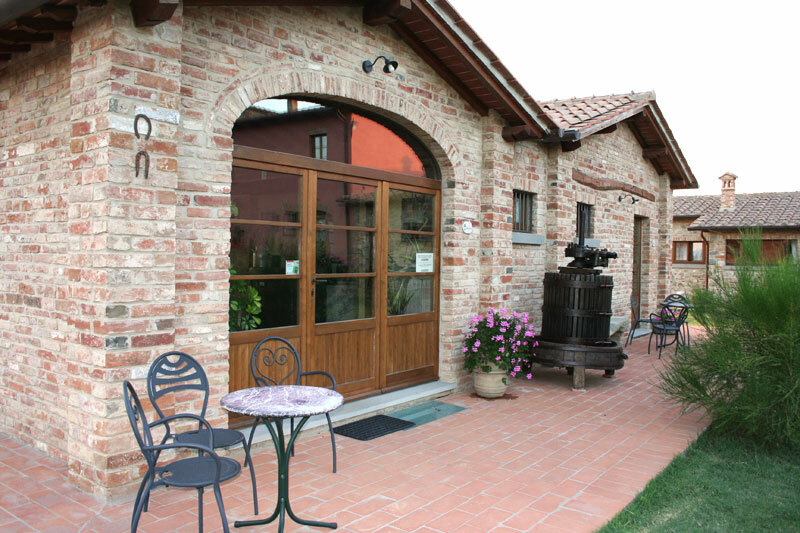 The farmhouse has only one hall named "CANTARINO" which is used for dinner and breakfast of guests or for business meetings. It is a stone and brick detached building with thatched hut and wooden beams ceilings and is on the ground floor just in front of the swimming pool.